In the second online discussion, we look at the”how” of using MOOCs (Massively Online Open Courses) and its variants for employee learning. An experienced panel talks about the logistics of deploying MOOCs in the organisational context. Our first online discussion on MOOCs for Employee Learning – Practitioners View was attended by 68 Learning & Development professionals and covered the “why”. Sunder Ramachandran is currently a Senior Training Manager with JLT Group, one of the world’s largest providers of insurance and employee benefits related advice. Sunder’s articles on workplace learning have appeared in Indian & International media including The Economic Times, Hindu Business Line, Times Ascent, National HRD Newsletter and HrmAsia.com. Dr Geoff Sharrock is Program Director at the LH Martin Institute and has wide experience in public administration and management consulting. Geoff’s current research interests focus on university strategy, workplace culture, change leadership and management practices, and ideas and images of the university as a social institution. Before entering academia Geoff also worked for 10 years as a private management consultant. 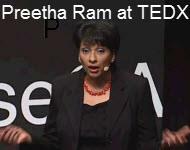 Dr Preetha Ram has a passion for creating opportunities for peer-to-peer learning. Dr. Ram is the co-founder of OpenStudy.com, a social learning network for students recently named one of the 10 “most innovative education companies” by TechCrunch. Her mission is to unite millions of learners from every corner of the world, to give help and get help. Dr. Ram is also the Associate Dean for Pre-Health and Science Education at Emory University Preetha has been invited to speak at TEDx. Michelle Ockers – National Supply Chain Technical Capability Manager at Coca-Cola Amatil – Michelle is an experienced Learning professional, with depth in learning strategy and program development and implementation, project management, stakeholder management and change management. Michelle is a key member of MOOCS@work initiative. Jeevan Joshi – Founder – Learning Cafe – Jeevan is an experienced Learning and HR practitioner who is passionate about the digitisation of Learning & HR and building organisational and team capabilities to make it happen. MOOCs (Massively Open Online Courses) are being dubbed a game changer in the academic world, Learning Café did some thinking and made this call: MOOCs (Massively Open Online Courses) and its variants can be a mainstream employee learning option. It offers cost-effective solutions for organisations with the benefits far outweighing the challenges. 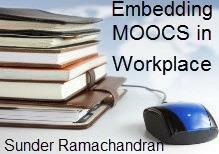 L&D/HR need to be proactive in exploring and including MOOCs in learning strategies. To back this call, Learning Café formed a working group – MOOCs@Work comprising of experienced learning practitioners from leading organisations including Suncorp, QBE, IAG, Red Cross Blood Services, Royal Australasian College of Physicians etc. The working group has been hard at work exploring, developing a framework and methodology for effective deployment for employee learning. I am unable to view the recording ‘moocs at work’. I sign in to gotomeeting but the recording does not play. Your site has some excellent resources and I am looking forward to viewing them.